There is so much to do in our daily routine that it seems like we are always on the go! Although we are all very busy and have different responsibilities to do, it is so important that we take time for ourselves! 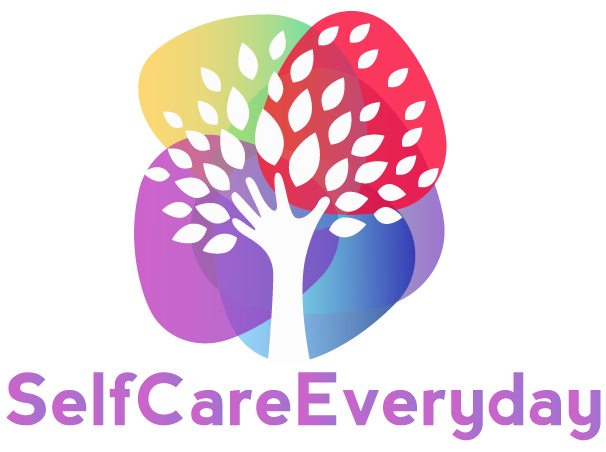 Self-care is extremely important but is something often gets neglected because we are so busy and everything else seems more important. In to-do list taking care of yourself needs to be high on your priority list! 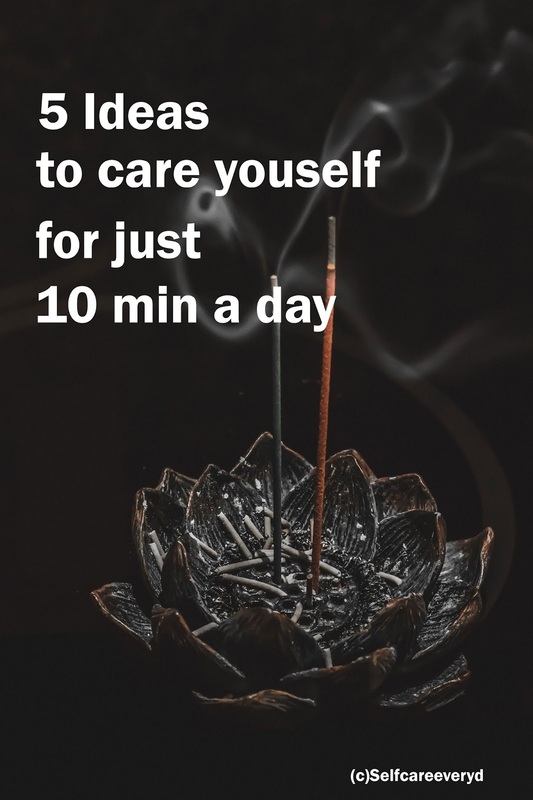 Here are some super easy self-care ideas that you can do in less than 10 minutes, so you can do away with the excuse that you don’t have time to look after yourself. 1) Play one song that makes you feel great, energetic and twirls in the melody. 2) Do a 5-10 min yoga practice. With yoga, you are feeding energy to your body and connecting with yourself. 3) Wear what makes you 'U' special like jewelry, clothing, makeup. 4) Pour something hot in your favorite mug or something cool into a beautiful glass and drink in your cozy corner. 5) Go outside feel the sun, walk barefoot in the grass. Sometimes nature heals your body a lot. 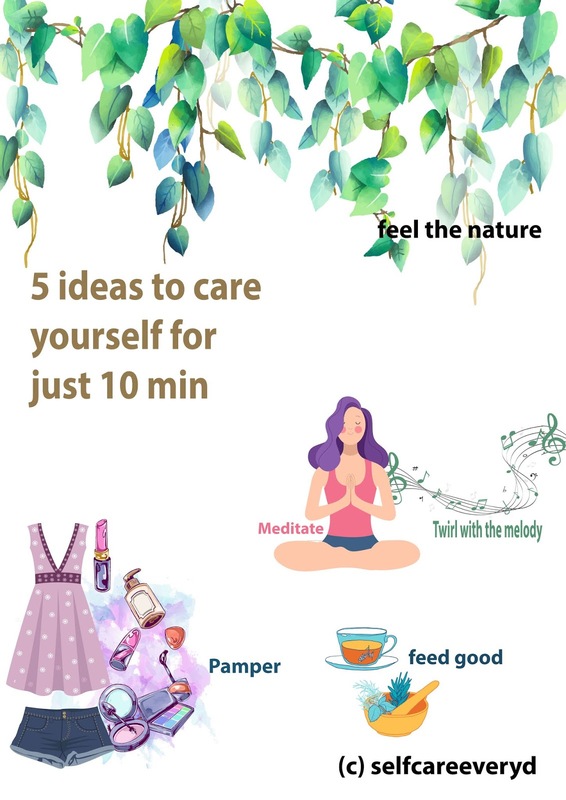 I hope you have tried this caring tips let us know if u did by hastaging us #selfcareeveryd or comment down below if self care tips would help you somewhere. Thanks for this article. I often forget to "self-care myself." I like the part about music. I love music, and play it for my kids, but I need to play something just for me. Thanks! Awww Latha U should just 5 min a day it takes.Next time start your day to think about yourself first. It looks like I might actually be taking care of myself most of the days yayy I'm definitely grateful for that!! That's absolutely true. Being a mom and wife I hardly get time for myself but still have to take care about myself.